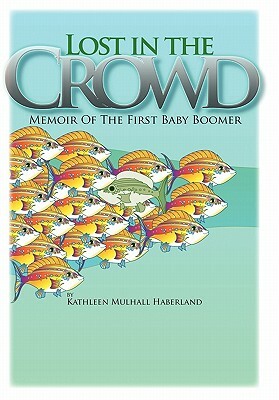 In "Lost in the Crowd, Memoir of the First Baby Boomer" Ms. Haberland tells the story of being born into a large family in Norristown, Pennsylvania. She walks the reader through the joy of her childhood in the innocent 1950's, the disappointment of relationships during the early 1960's and her total rebellion in the late 1960's and 1970's. Her lonely descent into a life of alcohol, drugs, and insanity is a journey she takes by herself and shares in easy language.